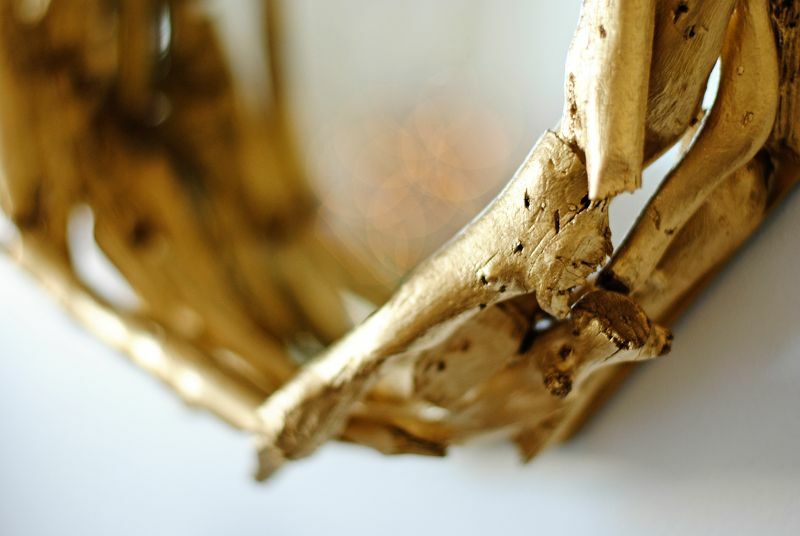 For some time now, I was the proud owner of an abstract driftwood sculpture I bought a long time ago on +HomeGoods. I loved how good it looked everywhere I put it. 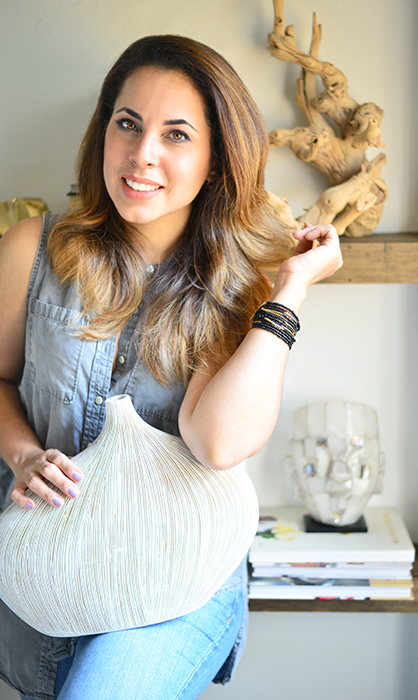 This sculpt beauty from the sea travel far and long through my home; from the bathroom to my ever changing shelf, to my room and even my receiving area. She was very happy every placed I put her. But, like many things around here, it was her time to make a transformation; a huge big change. I had great plans for her, and so I decided to turn her into a frame for a mirror. 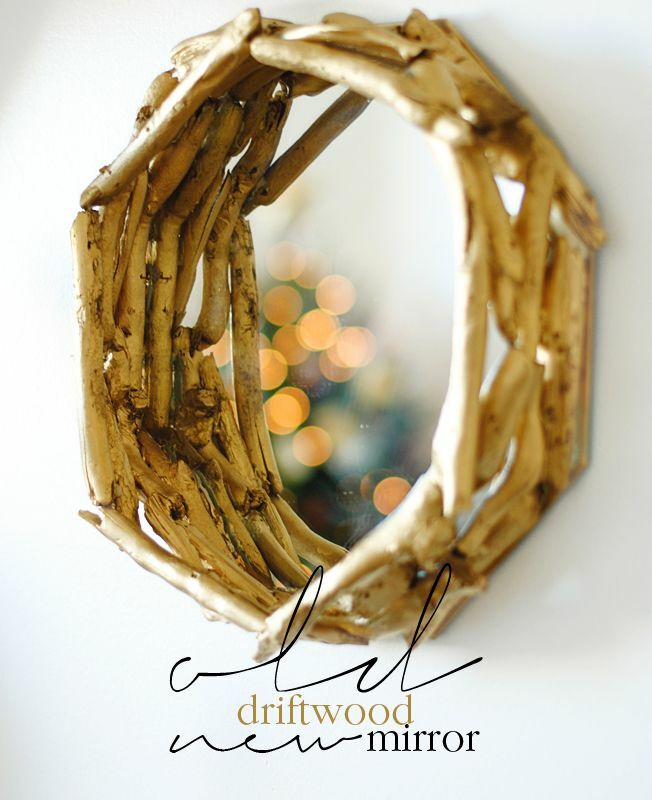 Today I’m sharing with you the transformation of my driftwood sculpture into a beautiful and gleaming mirror frame. 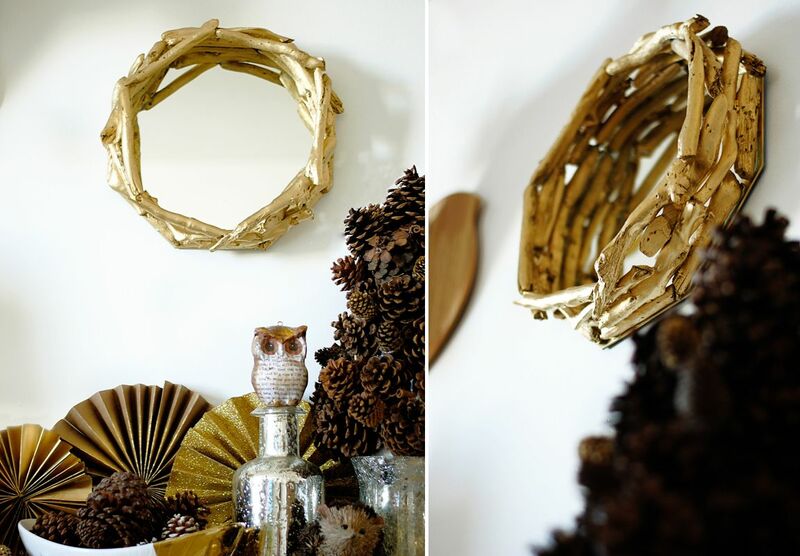 For this task you’ll need some driftwood (that is if you don’t already have an item made out of that material and that is in need of a really cool transformation! ), Liquid Nails (a powerful adhesive available on +The Home Depot), a mirror (I bought my octagon mirror on +Michaels Stores) and a metallic spray paint (also from Home Depot). I first dismounted the sculptured and took my time to take all the nails from each little driftwood piece (believe me when I say, this was the longest part). After all this was done, I took my wood and placed it over a cover area so I can spray paint my way! Lately I’ve been infatuated with the Rust-Oleum Specialty Metallic in Gold, to the point that even after painting I just love how the color looks on my nails (I know, its crazy!!!). After all the painting was done, I took my mirror and my painted driftwood and started gluing the pieces with my Liquid Nails. The trick here was to do this in levels, I first glue what was the base of my entire frame and from there on, the other “levels”. Remember to leave some time after applying the glue it will dry well. At the end my entire frame took 4 levels and, to make it shinier (and to see again the beautiful Rust-Oleum Specialty Metallic in Gold in my nails!!!) I added another coat of spray paint covering the mirror with old newspaper. Though I took my precautions on covering the mirror, some paint fell on it. But with a blade, I carefully remove the stains and clean the area with some regular mirror cleaner. I just love how it all ended looking at the end. It feels like having a new accessory at my home! What will you re-use today? Share your ideas and comment with me. 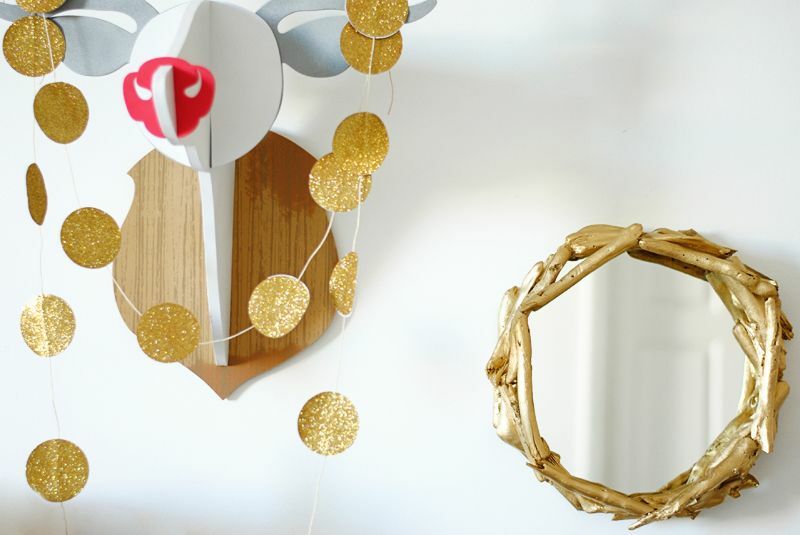 Come on over to Remodelaholic to see this project and many more on her last year Link Party. Thank you so much Meghan. This was a relative easy project and can even be paint in other color or finishes. Glad you liked it! Have a great day! I love when you can turn one thing into another and give it new life. Great project! Thanks for sharing at the Remodelaholics Anonymous party — you're featured in our party features post that will go up tomorrow morning 🙂 and we'd love to have you share other projects at this weekend's party (also starting tomorrow morning). Hello Lorene and Happy New Year! This is an incredible news, I'm so happy this project gets to be featured. Thank you so much and have a great day! screw suppliers Inventory-Deal is a global famous for its fast servicesscrew suppliers& has never made its clients wait for the products.As the days are going we are upgrading our productivity in service providing to the world. analyzes, and improves every aspect of your business’s online reputation which can help put you in control of how others see you online.